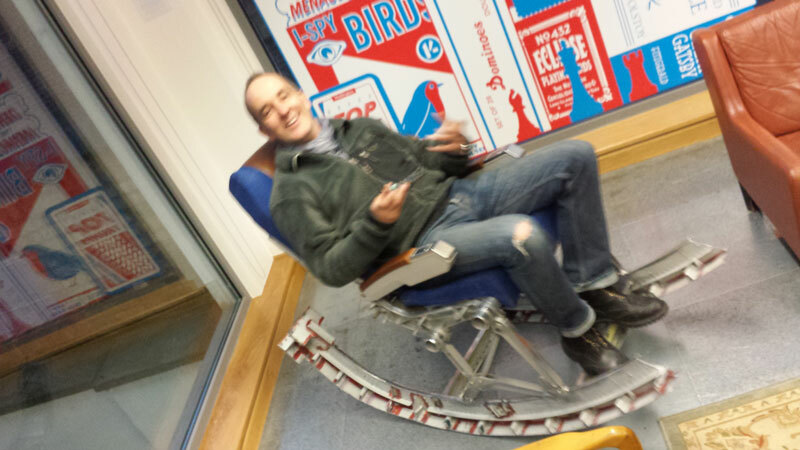 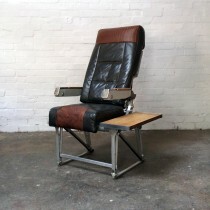 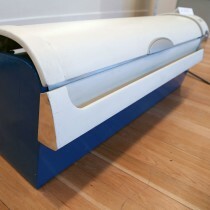 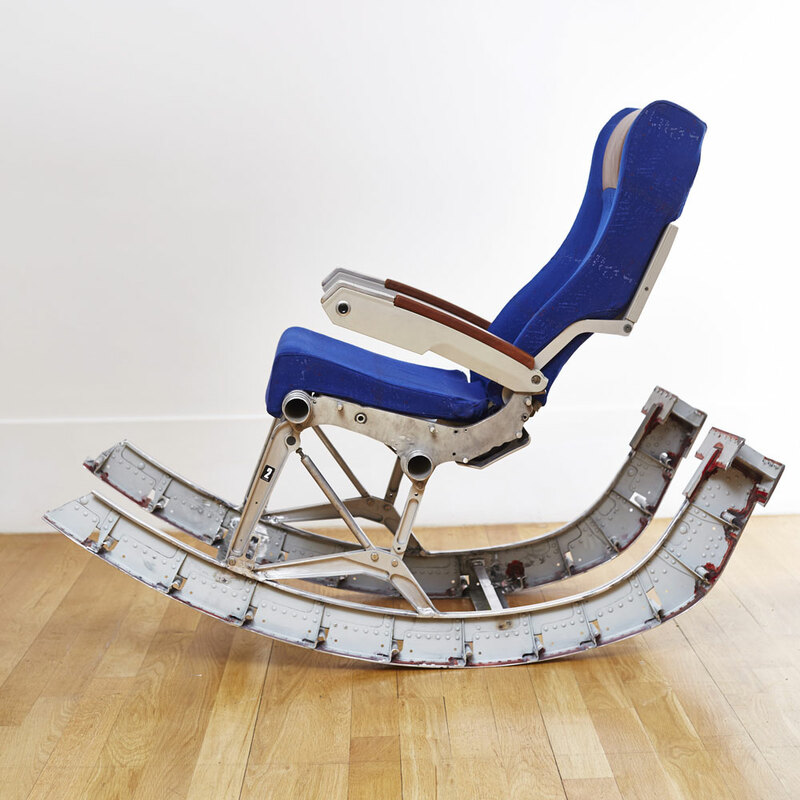 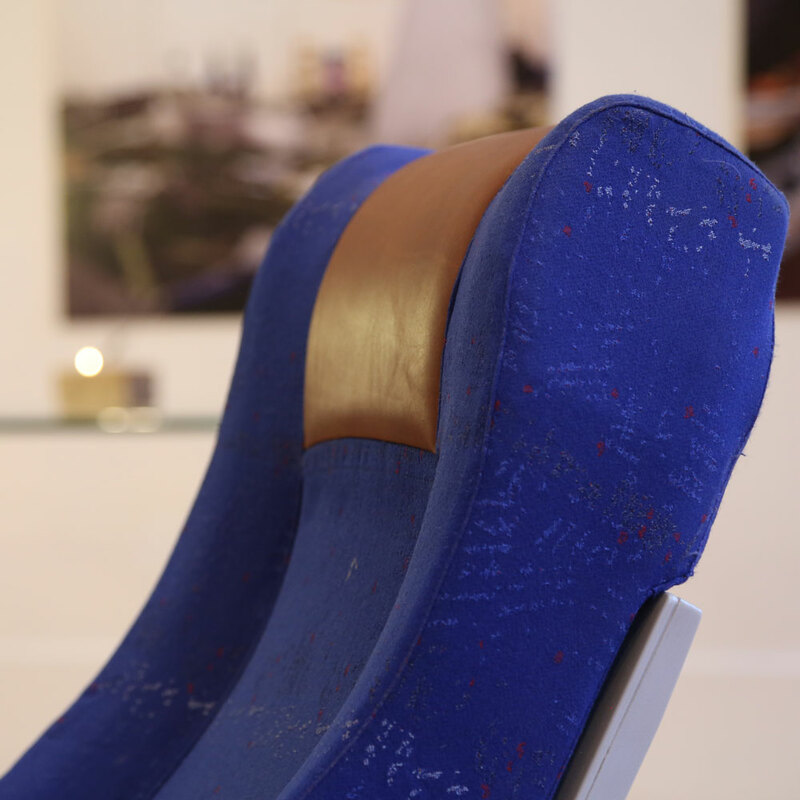 A reclining rocking chair made from an Airbus A320. 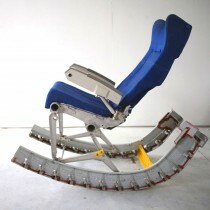 The chair rocks on two large fuselage ribs and an airline chair provides a comfortable recling chair. 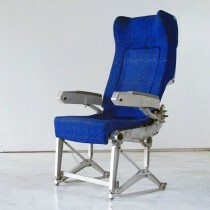 Leather armrests and headrest panels add an extra touch of the mile high club. 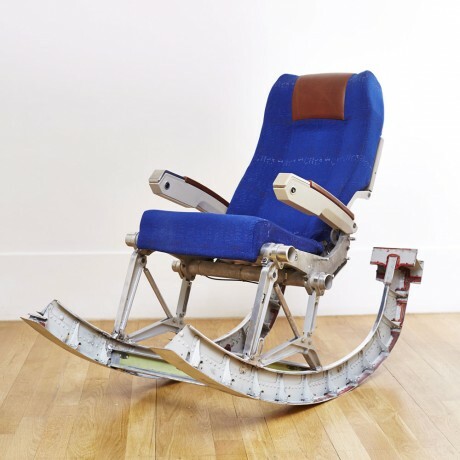 Be the first to review “Rocking Chair No.1 – Sold” Click here to cancel reply.